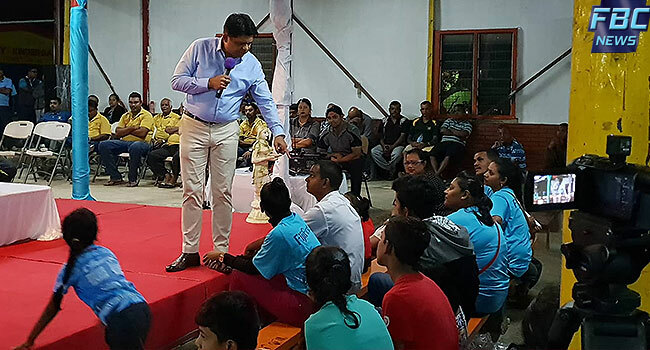 FijiFirst General Secretary Aiyaz Sayed-Khaiyum has reminded stakeholders working in conjunction with the government to provide services to Fijians to be faithful with the work they do. This comes after concerns were raised at a party campaign where some Fijians were disappointed with the free medical scheme that’s been rolled out by the government. Sayed-Khaiyum claims some stakeholders are cheating the government. Vikash, a resident from Vatuwaqa, Suva says some pharmacies sell the same medicine to those that are not eligible for the scheme however, are not providing these medicines to those that are under the scheme. In response, Sayed-Khaiyum claims some pharmacies are greedy and doing this for their own gain. Sayed-Khaiyum says stakeholders play an important role and need to be honest with the services they provide to carry the nation forward. Fiji pharmaceutical society President Reshika Sen says this will be solved come January next year when the government pays for the medicine that they give out to Fijians under the free medicine scheme.